You've probably seen the television or newspaper ads that "hype" Spinal Decompression Therapy asking you to call some unknown doctor's office in order to receive a free report in the mail. We do not believe anyone should have to do that! If you need any additional information, please call our office at 419-586-8600 and ask to talk to Dr. Geise. That's right, I'll talk to you personally in order to help you make the right decision. In regard to clinical skills, Dr. Geise completed the Kennedy Decompression Technique course work and passed the qualifying examination to achieve the status of "Certified Practitioner" in spinal decompression therapy. Doctor skill combined with the table and computerized traction head are the keys. Proper assessment, correct positioning and the use of preprogrammed patterns of distraction and relaxation may reduce disc pressure allowing necessary nutrients to enliven and accelerate disc healing. The specific treatment plan will be determined after your examination. The best results have been achieved utilizing 20 sessions over a 6 to 8 week period. 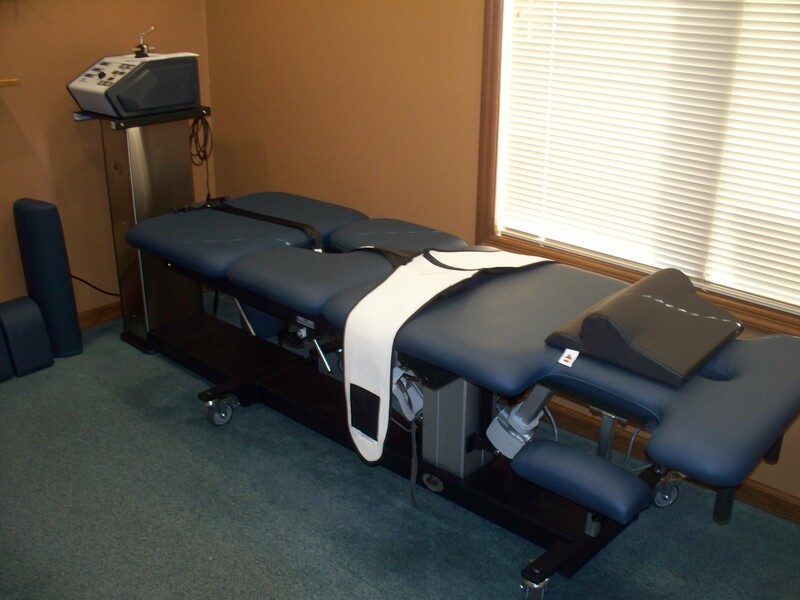 Our customary fee for each spinal decompression session is only $25 which means the total cost will be a small fraction of the $3000 -$5000+ amounts that some offices are charging. We want to make it easy for you to learn if you are a candidate for spinal decompression therapy. Just call our office at 419-586-8600 to arrange a consultation with Dr. Geise. Please remember to bring any MRI films and reports so Dr. Geise can review them and best advise you about your treatment options. If our office is too far, we still want to help you. Decompression Doctors all across the country.